Ipek Serifsoy is an executive coach and organizational consultant specializing in leadership, leadership communication, team development, and women’s leadership. She completed her Deep Coaching Certification in spring, 2014. She helps clients increase their leadership presence and ability to motivate, influence and inspire others. Working at both the verbal and non-verbal levels, and attending to both one’s internal experience and external world, she helps clients attain greater authenticity, wellbeing and effectiveness, especially in environments of rapid change, volatility, ambiguity and uncertainty. Ipek holds a PhD in Organizational Systems and MA in Psychology from Saybrook University. Her doctoral dissertation, titled The Leader’s Muse, investigated the connection between aesthetic sensibilities and leadership. 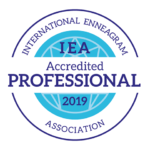 In addition to the Enneagram, Ipek works with numerous assessment instruments including: Signature Strengths, Inner Saboteurs, and LJ Map (a values survey). She has completed numerous coaching programs and also spent a year engaged in post-graduate studies at NY Theological Seminary. 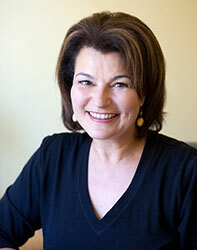 In addition to her is consulting work, Ipek facilitates an Interpersonal Dynamics course at Stanford Business School. Ipek is the President of the Deep Coaching Institute. She holds an Associate Certified Coach credential (ACC) from ICF.